Credit: Kevin Winter/Getty ImagesIce Cube is one of the producers of last year’s N.W.A. biopic, Straight Outta Compton, and his son — O’Shea Jackson Jr. — stars in it, playing his dad. It’s possible that the critically-acclaimed film could receive an Oscar nomination Thursday morning. How is the rapper and actor feeling about his chances? He tells ABC Radio that he’s remaining level-headed about it. The rapper and Ride Along star says even if the movie doesn’t get a nod, he won’t be too broken up about it. 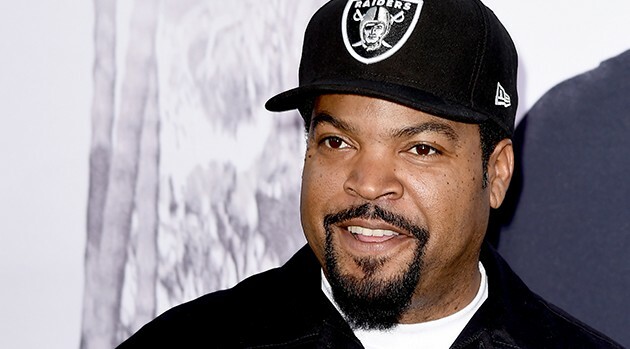 “We have a great movie that we’re proud of, that did over 200 million dollars worldwide and you know, so it will be a little disappointing, but I’ll get over it real quick,” Cube says. The nominations for the 88th Oscars will be announced Thursday beginning at 8:30 a.m. ET.